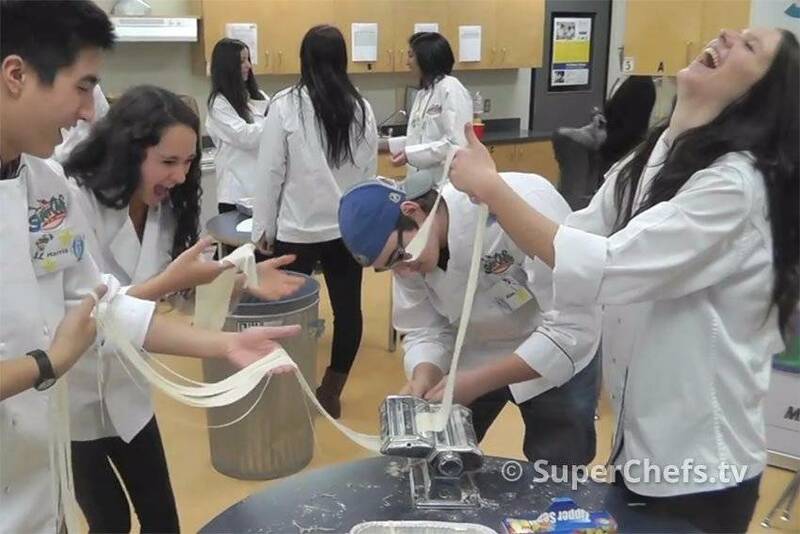 oin the SuperChefs team as they team up with kids to compete in the Long Noodle Contest during the Surrey Kids Conference. The SuperChefs all-girl Pasta Team get rolling after demonstrations of how to make fresh pasta and tomato sauce. They get busy in the kitchen making long noodles under the watchful eye of Executive Chefs Victor Bongo, Andrew George and Dr. Greg.